We’ve just come through one of Colorado’s uncommon extended cold, gray, snowy spells. That beautiful sunshine poked through, then poured out, this morning. Temperatures rose above freezing, and with it my spirits rose. Sustained cold is not my friend. Being able to come inside to warmth — efficient warmth that doesn’t drain the pocketbook — is not something to be taken for granted. Good insulation is the answer. Not only for the cold times, to save your heating bills. But also when the warm days come, and the rodents, spiders, and box elder bugs look to make themselves unwelcome visitors. But if you’re going to do it, do it right. Do your research and get informed. 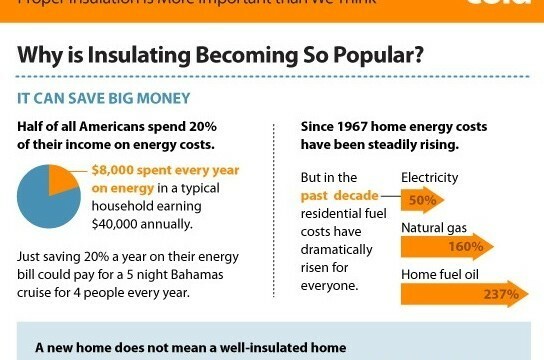 Even if you live in Colorado, like I do, the value of a well insulated home can’t be underestimated.